Go with the 9-Patch or 16-Patch! 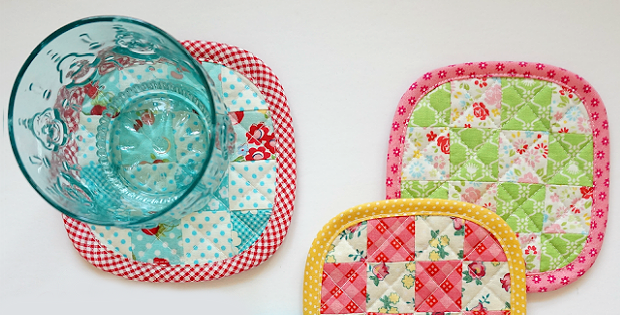 Dig into your scraps for the makings of a set of pretty patchwork coasters. They’ll be lovely accents wherever you chose to use them. A set makes a charming gift, too. Choose between the 9-patch version made from 2″ squares or the 16-patch from 1 1/2″ squares. Either one lends itself to fussy cutting little motifs to highlight. Choose colors and print styles you love. Match your decor or create a set for a particular season. Either way, this is a great project for scraps from a favorite project. The 9-patch version measures 5″ square, while the 16-patch coasters are 4 1/2″ on each side. 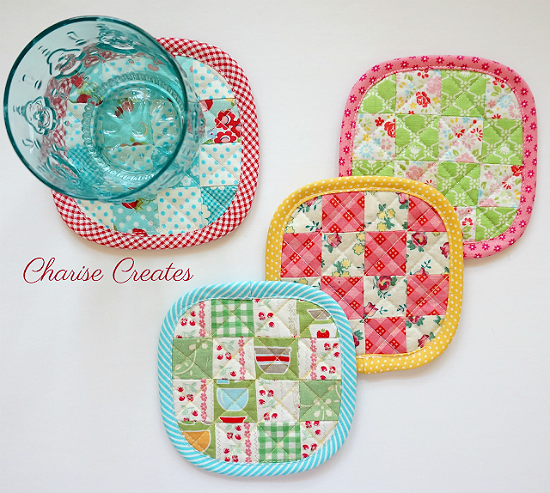 The tutorial is from Cherise Creates. 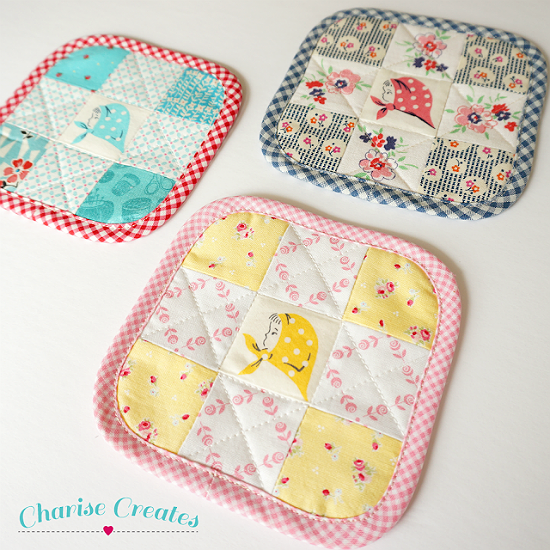 Click here for the free “Scrappy Patchwork Coasters” tutorial.